A new audit shows the Alamogordo Public Schools are plagued by procurement issues, payroll problems, and possible fraud. 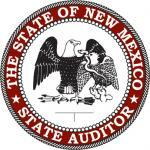 The Alamogordo Daily News reports an independent audit released last week revealed 17 findings, including some that needed reporting to the State Auditor’s Office and law enforcement. According to the audit, a former technology director negotiated an agreement in April 2018 for telecommunications services without either a purchase order or going out to bid. The audit also found that last year the district prepaid salaries for July 10 to 14 totaling $101,603 being dispersed without benefits. The district didn’t recover the money when employees left. In September, Alamogordo Superintendent Adrianne Salas stepped down amid pressure following two schools receiving “F” grades.